My early memories of Ravioli were of Chef Boyardee Ravioli, heated from a can. So what a wonderful treat to discover real ravioli and all the different sauces that can be used. 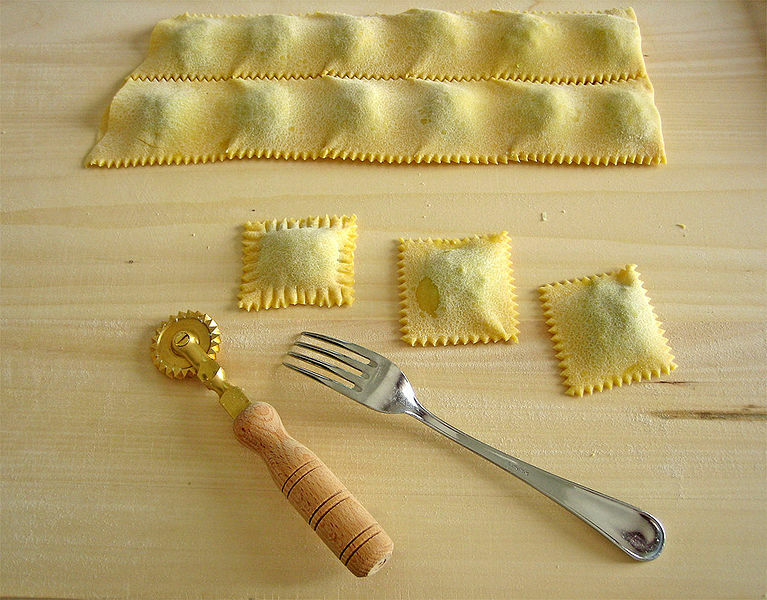 Of course, you can make your own ravioli, but that is a bit time consuming, so I buy fresh or frozen ravioli with different types of stuffing: sausage, chicken, cheese, squash, mushroom, and so on, from a local source that uses Organically-grown ingredients. In the past I would serve these with a marinara sauce and freshly grated parmesan for a quick, easy dinner. But the wonderful When in Rome Restaurant (1) in Bigfork, a great and popular local eatery, has introduced me to garlic cream sauce on ravioli stuffed with winter squash or asparagus. This is a very quick and easy recipe to make – the hardest part is mincing the garlic. And I have to say it’s my favorite quick meal. 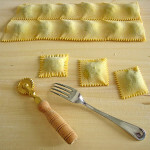 My local grocer has started carrying Organic frozen ravioli and so far my favorite is butternut squash, in this recipe. This garlic cream sauce, adapted from NottaPasta (2), is made with heavy cream, and no added broth or flour. See also Bell’Alimento (3) for another version. See also variations with asparagus and/or chicken, below. Wash and rinse tomatoes, then cut into halves or quarters (depending on size). Chop parsley. Set both aside, separately. Combine filtered water and salt in saucepan; bring to a boil. Add ravioli and cook, according to package directions. If the ravioli are stuffed with meat, be sure to measure the internal temperature of a ravioli using an instant-read thermometer to ensure the meat is done. Drain, add to cream sauce and toss gently. Transfer to 2 shallow bowls. Add tomato pieces on top and sprinkle with chopped parsley. Serve with extra grated parmesan as desired. This version is adapted from NottaPasta (2); (see also Garlic Cream Sauce-2 Versions). This version does not use a flour roux, just heavy cream, and is most like that at When in Rome Ristorante Meditarraneo. Peel and mince garlic fine, enough to make 1 Tbsp. Grate the cheese and set aside. Add garlic and cook until golden brown. 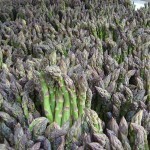 [If making the asparagus variation (below), sauté the asparagus with the garlic.] If using, add red pepper when garlic is almost golden. Add cream and stir until just comes to a boil. Reduce heat to a low simmer, add cheese, and adjust seasoning. Chicken cutlets: Sauté flour-dusted, brined slices of chicken breast or thigh (one large or 2 small breasts, or 2 – 3 thighs) in butter/olive oil; remove to bowl to keep warm. Add minced garlic to pan and lower heat to lightly brown, and proceed as in original recipe, adding back the chicken just before serving. 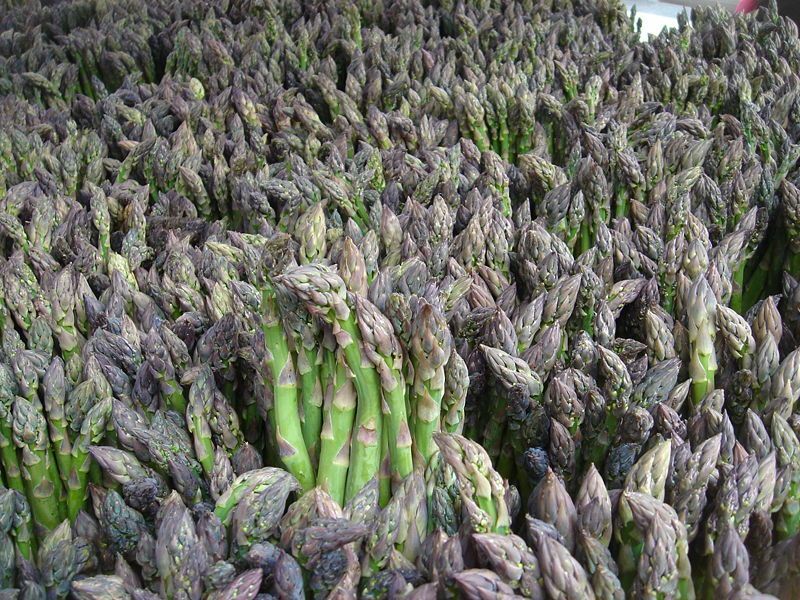 Asparagus: Sauté asparagus with the garlic. Add toasted walnuts just before serving. Combination of the chicken and asparagus variations above (without the walnuts). Serve with a salad of greens, toasted walnuts or pecans, blueberries, and chevre or blue cheese, with a balsamic vinaigrette. Accompany with a rustic or sourdough bread like ciabatta. This entry was posted in Boiled, Dairy, Onion family, Pasta, Vine veggies and tagged cream, garlic, ravioli, tomato. Bookmark the permalink.